Artificial intelligence or AI, is “The building of computer programs which perform tasks which are, for the moment, performed in a more satisfactory way by humans because they require high level mental processes such as: perception learning, memory organization and critical reasoning” according to one of its creators, Marvin Lee Minsky. In other words AI is about creating techniques that enable machines to copy a certain form of human intelligence. Since 2010, AI has expanded exponentially in areas such education, big data, data science and deep learning. For big companies such as Google, Microsoft, Apple and Facebook, AI plays a key role in their economic development. They set up networks of servers that are capable of complex calculations within an immense database. The algorithms used make it possible to optimise calculations as they are made. Algorithms are used in this way in the fields of marketing, purchasing, administrative processes, accounting, and payroll management. These are common uses of artificial intelligence today; this is sometimes referred to as digital assistance. Many innovative projects are led in the Lyon area, and artificial intelligence is no exception. Indeed, in this sector in particular, the city has a unique opportunity to continue developing its economic fabric and gaining a competitive advantage on an international scale. Several projects have recently been run in Lyon, creating a dynamic of development in numerous sectors concerned by artificial intelligence. NAVYA is a company specialised in the creation of autonomous vehicles. 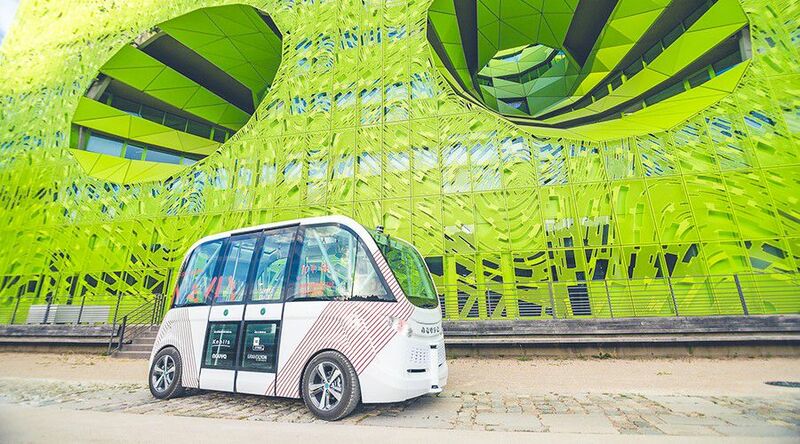 It helps cities and private international companies to develop their transport offer with autonomous, driverless and non-pollutant (electrical) solutions. The use of artificial intelligence in autonomous vehicles is revolutionising the transport sector with a fluid mobility solution in which vehicles combine digital and robotic technology. These vehicles will be deployed in cities and on private sites for now. Woonoz is the start-up behind an artificial intelligence engine for companies specialised in training. The R&D team developed this engine based on cognitive science studies performed with the Lyon laboratory LIRIS. 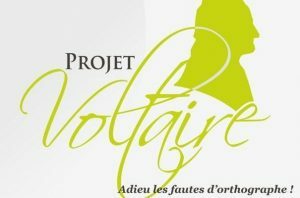 The start-up has developed a special module dedicated to evaluating a person’s level of French, known as ‘Projet Voltaire’. It exceeded Woonoz expectations and in 2016, it represented 70% of the company’s sales. With 50 employees and a 44% increase in sales in 2016, the start-up is achieving great results. The CCI Lyon Métropole Saint-Etienne Roanne, and Lyon Métropole, have also praised its performances by selecting it for the Pépites program from 2015 to 2017, along with 19 other local SMEs with a very high potential. AI: towards an industrial revolution 4.0? By supporting the development of artificial intelligence in the field of industry, in particular, Lyon will gain in competitiveness and international influence. 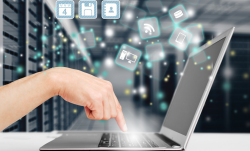 The development of artificial intelligence applications would improve data processing, unify numerous processes, and lower production costs, administrative burdens and finally an increase in margins. Such savings will facilitate the sector’s external growth, make it possible to reinvest and innovate, and therefore to create many jobs in the Lyon area.